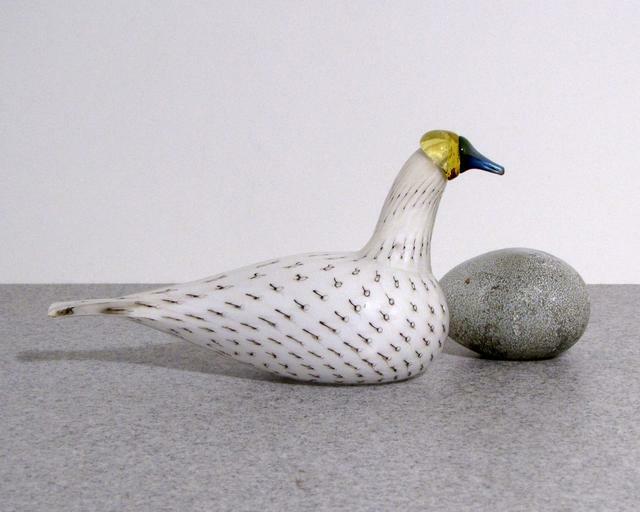 More about iittala Toikka Alaskan Loon 2009 FinnFest Bird The Alaskan Loon was designed by Oiva Toikka as the FinnFest bird of 2009. 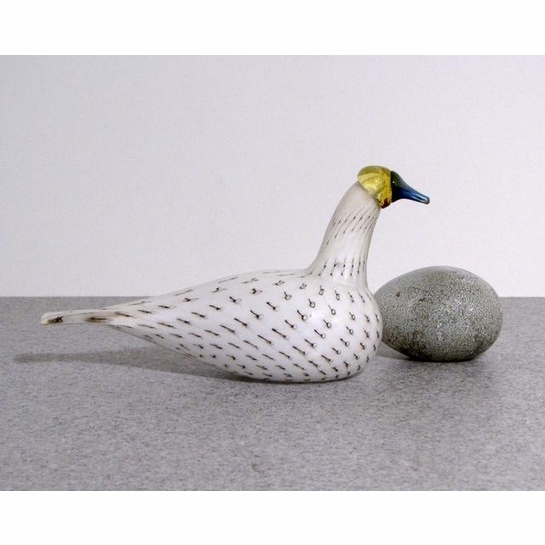 Only 500 of this lengthy white bird were produced, making it a special edition bird. The brown markings are made with a special controlled bubble technique that gives texture that can be seen but not felt behind the smooth layer of outer glass.